7:30 pm. 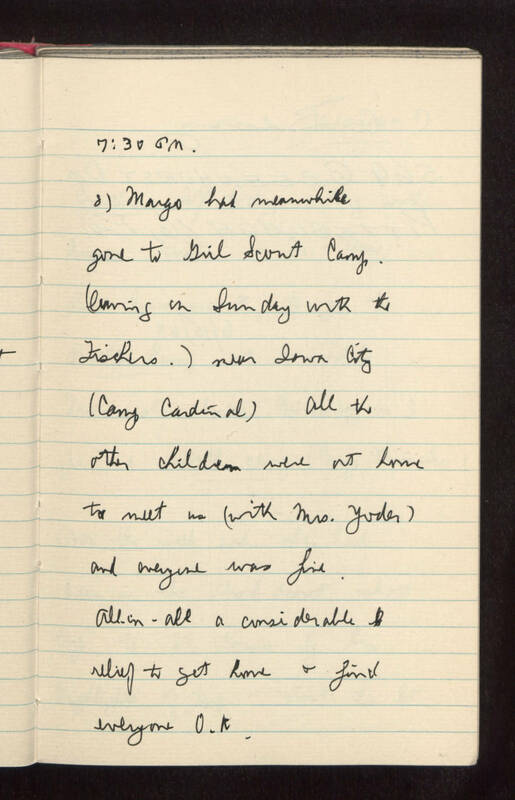 8) Margo had meanwhile gone to Girl Scout Camp (leaving on Sunday with the Fishers.) near Iowa City (Camp Cardinal) All the other children were at home to meet us (with Mrs. Yoder) and everyone was fine. All-in-all a considerable relief to get home and find everyone O.K.